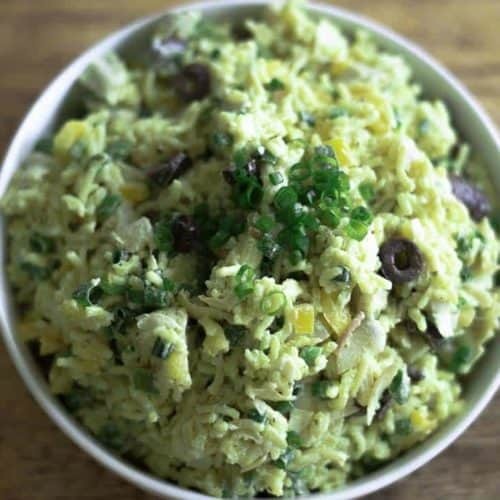 Curried Rice Artichoke Salad is unique and flavorful, it’s a great recipe to bring to a party or pot luck. Are you looking for something new to serve to your family and friends? 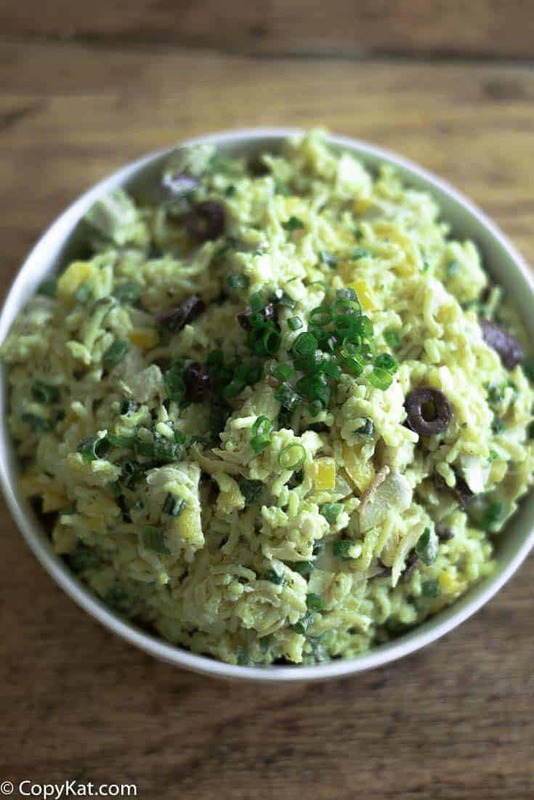 Well, this curried rice artichoke salad is unique and flavorful. And, it’s a great dish to bring to a party or pot luck. This creamy salad is made from chicken-flavored Rice-A-Roni, artichokes, olives, mayonnaise, green bell pepper, and chopped green onions. If you have never tried this artichoke salad, you are in for a real treat. 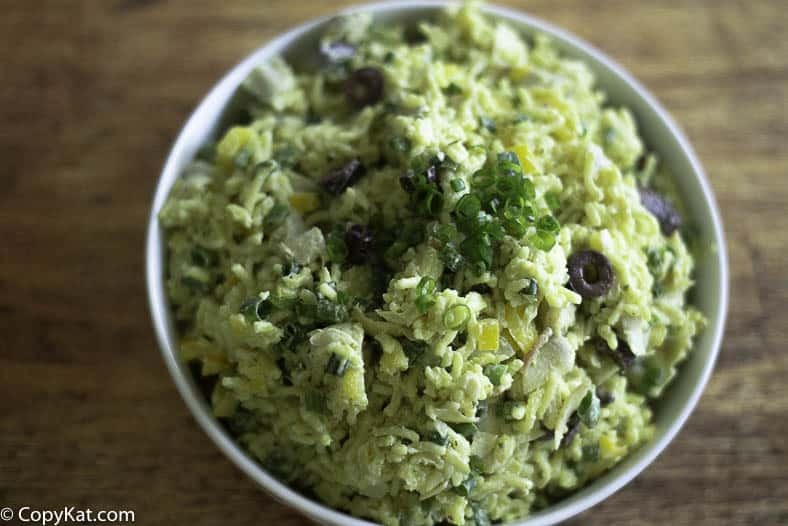 This classic artichoke and rice salad is so flavorful and so easy to put together. It’s packed with olives, onions, and bell pepper. What’s more, this dish is perfect served hot or cold. And, it’s a recipe that is super easy to adapt and change to your personal tastes. For instance, if you have leftover cooked chicken, it goes perfectly in this salad. This salad tastes even better the second day, so it’s the perfect salad to make a day ahead of time. This salad tastes even better the second day so it is the perfect salad to make a day ahead of time. Looking for more salads that are great to bring to a party? Artichoke Salad is packed with olives, onions, and bell pepper. Prepare rice-a-roni as directed. chop all ingredients and SAVE artichoke juice. Mix this with the Mayo and curry powder and pour over all chopped veggies and rice-a-roni. This is good hot, cold, and in-between! This is good hot, cold, and in-between! I hope you enjoy it! It’s great for a change. Black, green, queen or kalamata olives? Assume bell pepper?